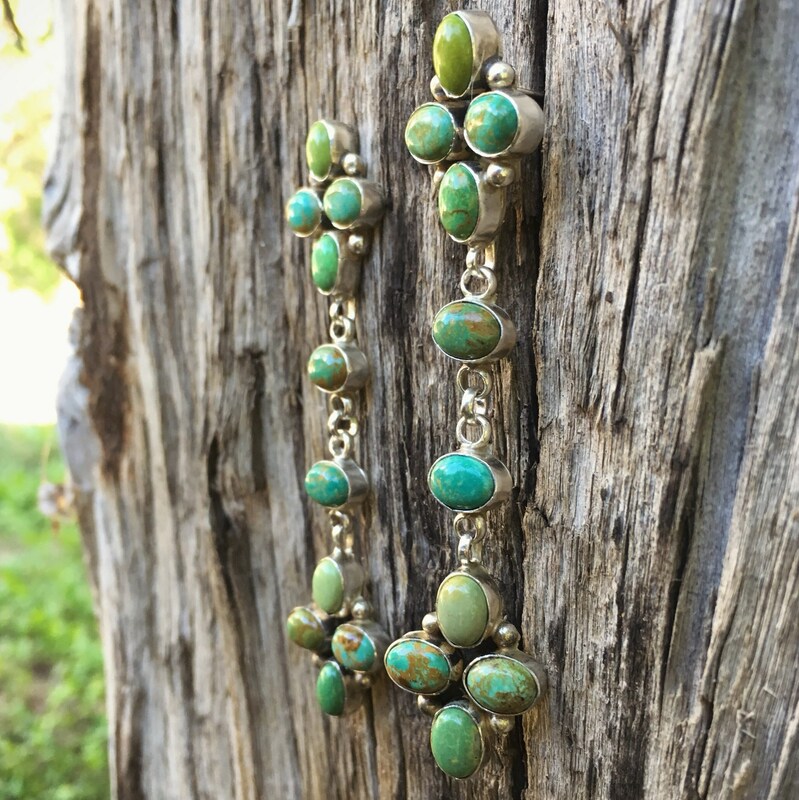 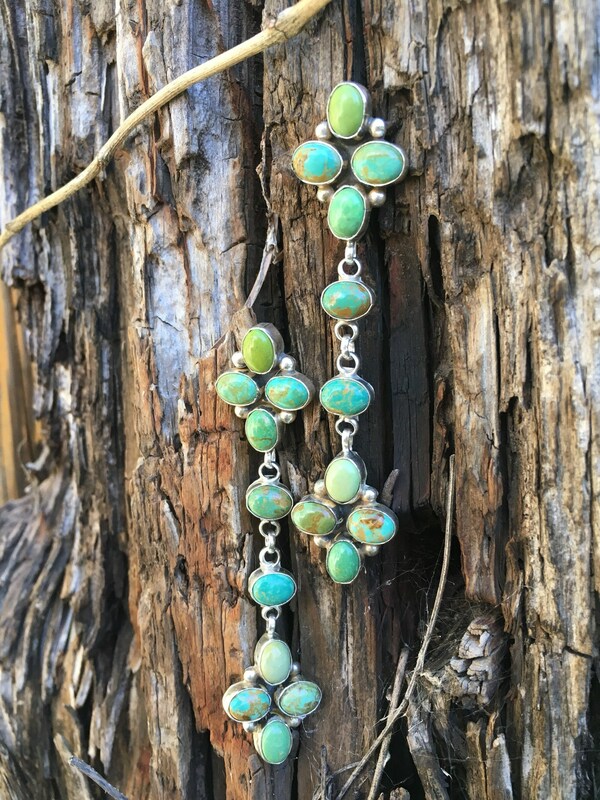 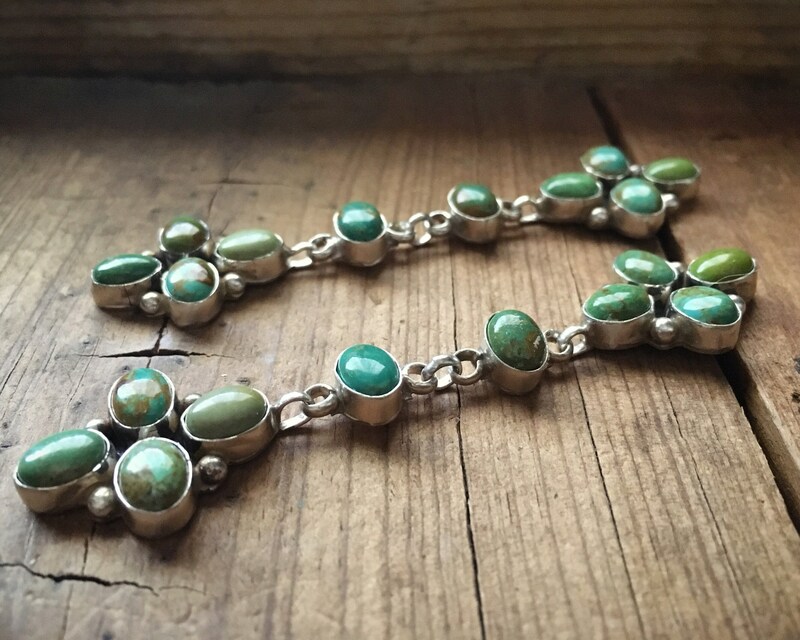 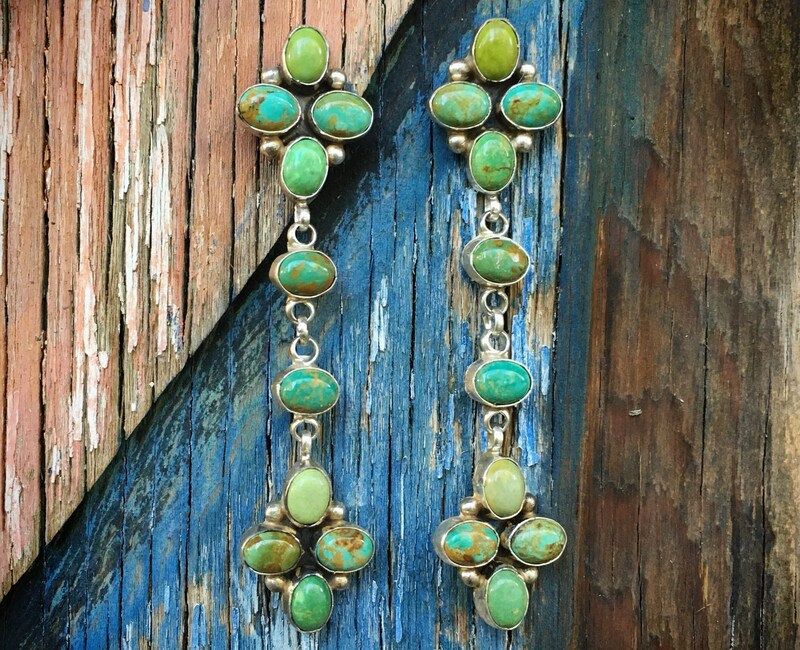 Here we have a stunning pair of turquoise earrings in sterling silver featuring cabochons of green turquoise from the Royston mine in Nevada--many swirling with a caramel brown matrix--in two articulating sections including two clusters at top and bottom and in the middle single cabochons. 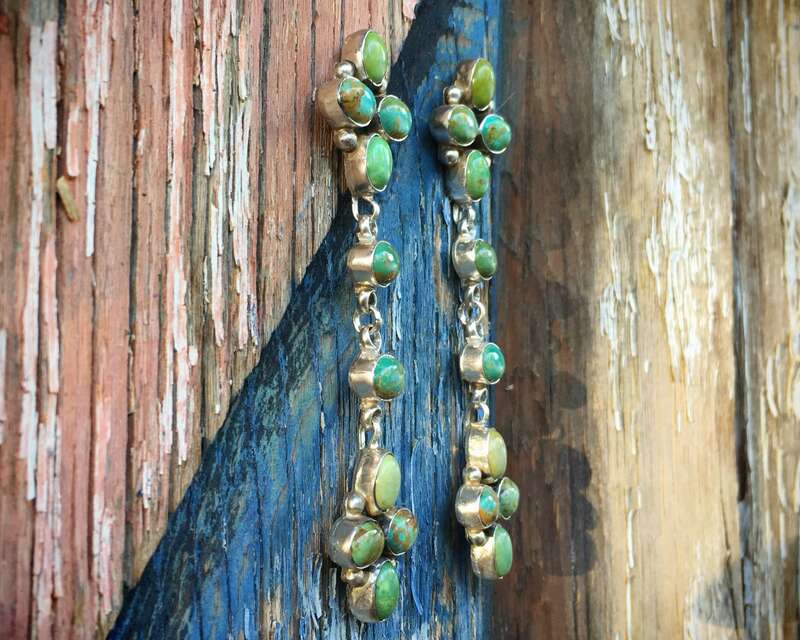 The links are heavy between each section, and I love that these are both substantial yet light enough to wear every day. 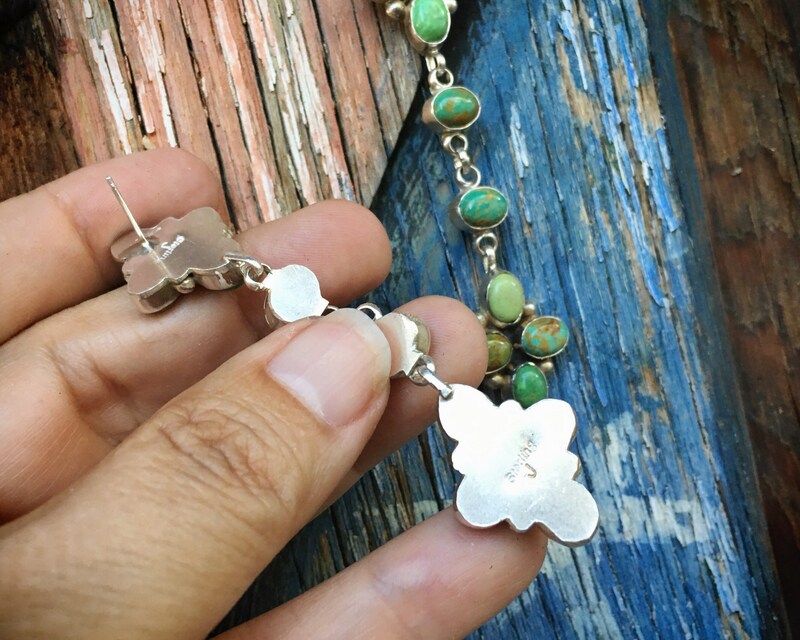 The top cluster is the post, then a single cabochon and another, followed by a final dangling floral cluster. 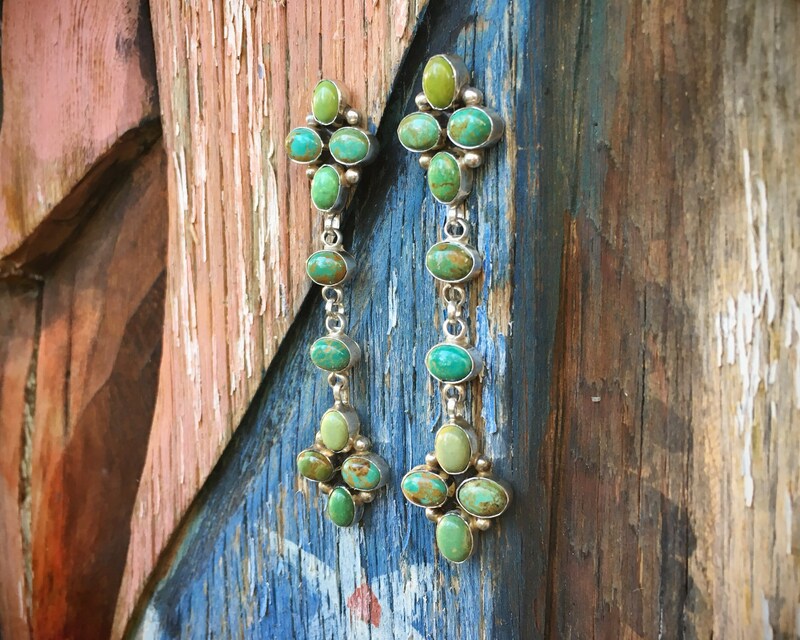 The earrings carry a hallmark for Navajo Jason Livingston. 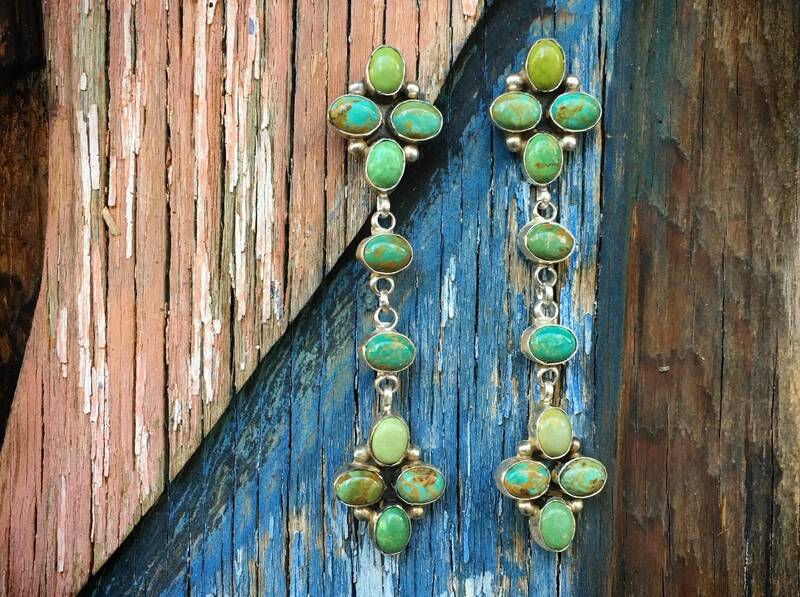 Also marked STERLING. 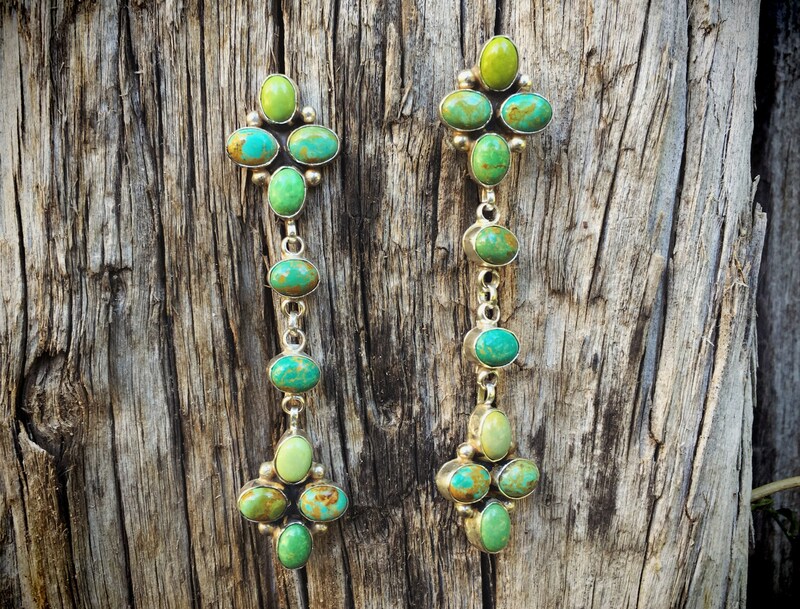 Each earring measures just about 3-1/4" long by just over 5/8" wide at the widest part. 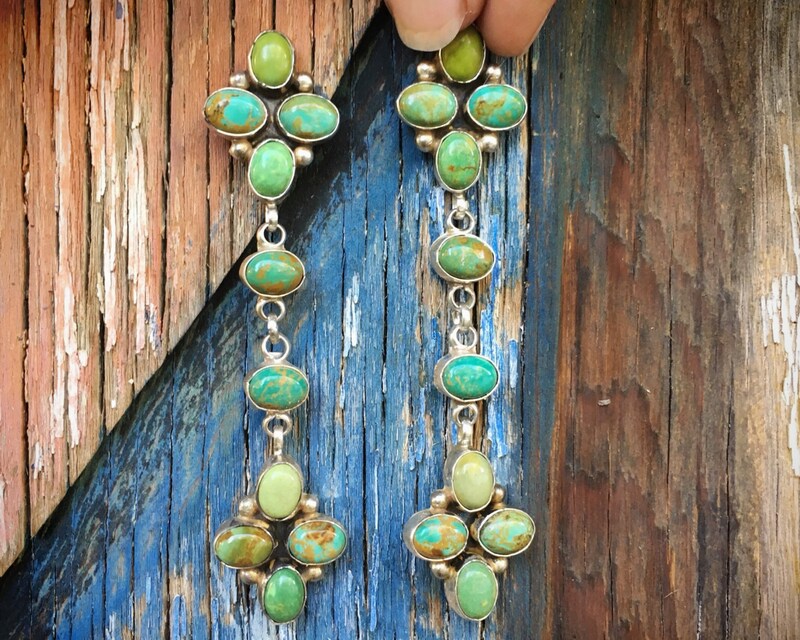 Turquoise well seated in all the bezels, and in soid condition.